EXCLUSIVE: With 'Bull's-eye on Jacksonville', Standard Pacific invests more than $70M in area land. A National homebuilder is going long on Northeast Florida, having invested more than $70 million in land in Duval and St. Johns counties in the past 18 months. 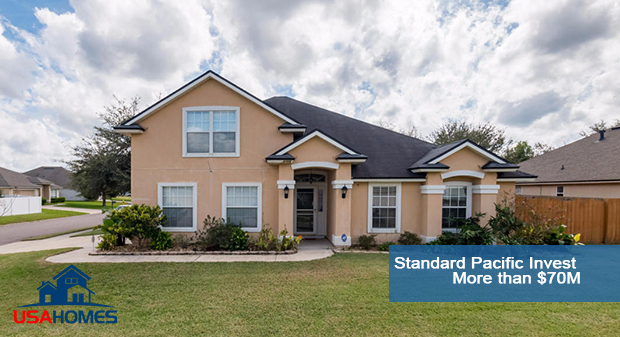 The leadership of standard Pacific Homes Inc. (NYSE: SPF), based in Irvine, California, "saw an opportunity to commit to a lot of that land early on" in the housing market's recovery, said jim Birkholz, the company's Jacksonville division president. The $70 million-plus figure doesn't include development costs. "We moved ahead of the of the market to capture the really A locations," Birkholz said. "That's all we were interested in." Birkholz said the builder is incredibly bullish on Jacksonville, a stance driven by job and population growth, as well as news of corporate relocations like Adecco North America's headquarters move. "We really have a bulls eye on Jacksonville," Birkholz said. "We think Jacksonville will probably catapult ahead of the national recovery." 910 Detroit St, Jacksonville, Florida. 615 East 60th St, Jacksonville, Florida. 1969 Jones Ave. Atlanta, Georgia. 1981 Jones Ave. Atlanta, Georgia.